Be sure to join our Facebook PRIVATE Store Group! 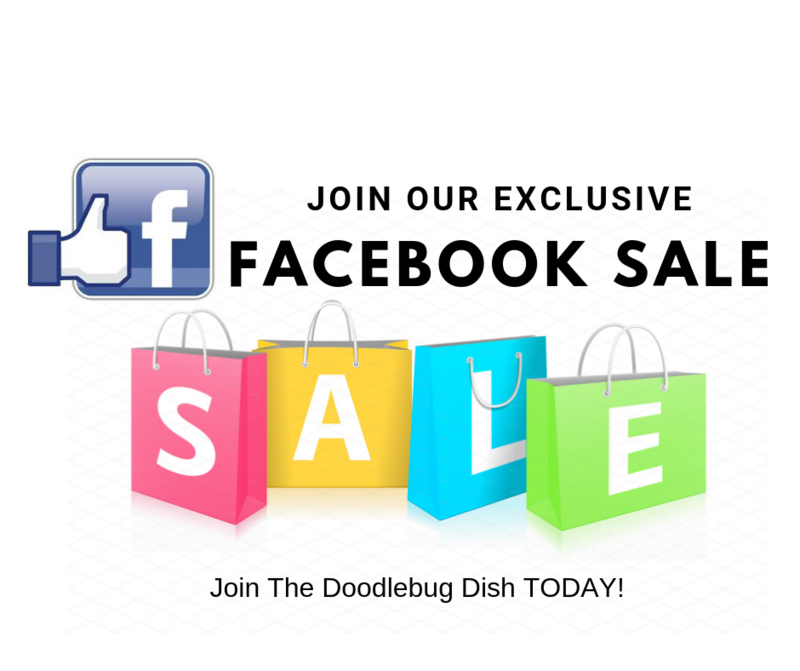 Search for "The Doodlebug Dish" and ask to join!! On Wednesday, April 24th around 4pm I will hold an exclusive Facebook sale so you can shop from the comfort of your home!! You can call in before the sale and put a credit card on file or I can send you a paypal invoice for your sale items! All sale items will need to be paid for within 24 hours...oh and if you aren't local, NOT A PROBLEM!! We will ship your sale items to your door! !